Tea in pickles?? I have never hear of this trick. Very interesting indeed! I’ve used tea in pickles with good results too. In the summer I use grape leaves since I have a vine but the winter is the tricky part. 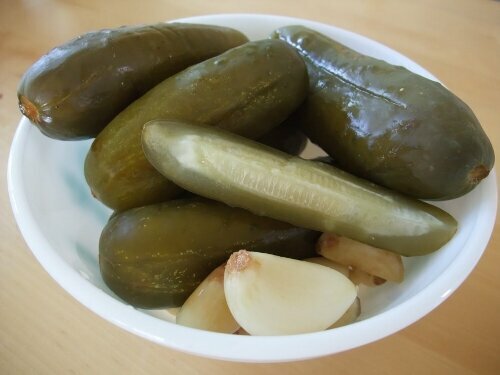 I found that leaving the cucumbers whole is best and cutting a little bit off each end keeps the pickles from getting that musty taste which I don’t like (but my husband does!). I also soak my pickles in cold water for at least a few hours before pickling. 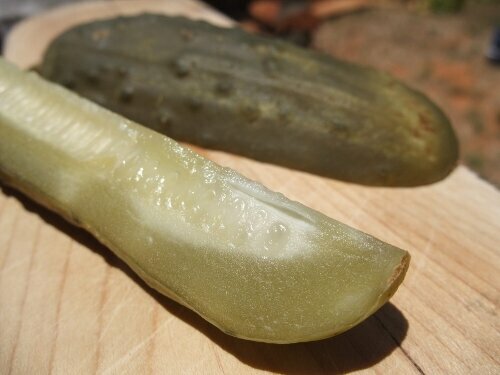 This allows the cucumber to rehydrate if they are not fresh off the vine and prevents them from soaking up too much of the salt brine which makes them mushy too. Nice pics and website! Perfect ratio for a lacto fermented pickle is 5% so for 100/500g of water 5/25g of salt is needed. 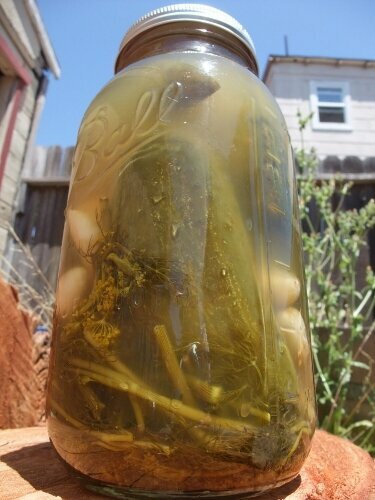 You can start this pickle and after 3 days switch to a 3% brine for a slightly less salty pickle.